The areas you want to paint should be clean, dry, dust- und fatfree, stable and bearing. If intact, clean and sand pld paintings, otherwise remove with a paint remover. Remove without residues flaking, not bearing old paintings. The minimum working temperature for material and surroundings is +8°C. Dilute with max. 10 % water. 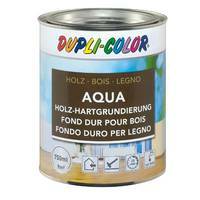 New coating: prime rough wood undiluted with DUPLI-COLOR Aqua Wood Hard Primer. 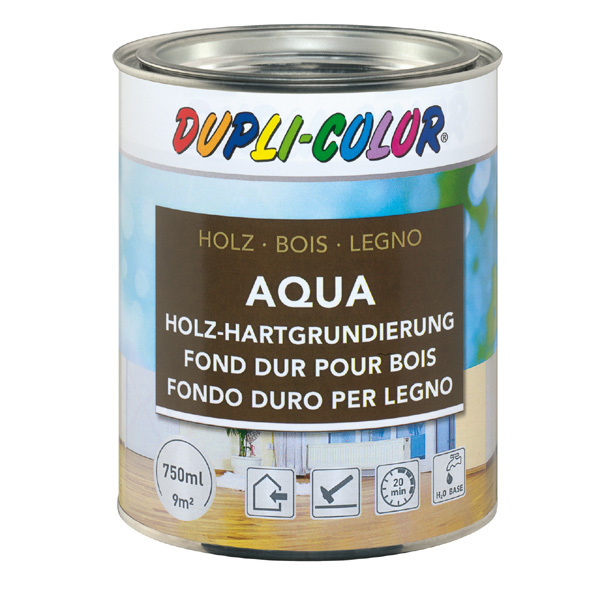 Apply 1-2 coats depending on demands and absorptivity of the subsoil, then overcoat with a coloured, pigmented wood glaze or a waterbased paint. Before every painting sand and clean the subsoil. Sand, clean and brush wood always in direction of the grain. Especially after the first covering there might erect the wood fibers. They must be sanded before the next coating. Care for a drying time of 8-10 hours between the single layers.